...it's those Danes, again. Someone is going to have to get up really early one New Year's Day to beat this lot to first engagement of the year. 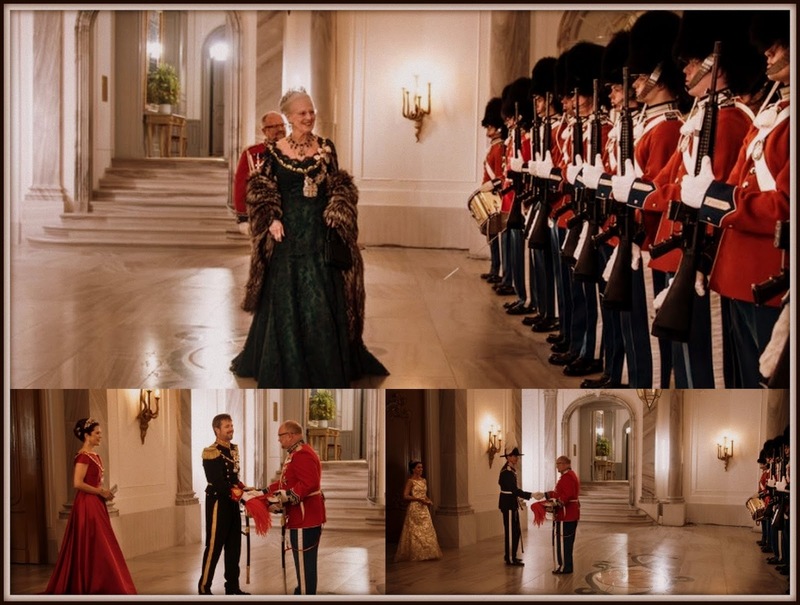 Queen Margrethe got her brood glittering at her traditional gala at the Amalienborg Palace in Copenhagen and knocked everyone else out of contention for first royal job of the year. Here's how they sparkled. The New Year's Galas in Denmark are centuries old. So old in fact that no one really knows when they started. In the 1600s they were referred to as an old tradition. So let's stick with old and get on with the sparkle. 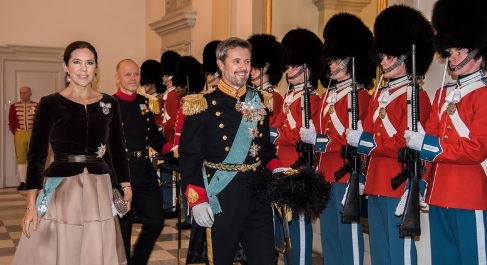 The main event takes place on New Year's Day when the Queen of Denmark welcomed government representatives and some of her country's top officials or a banquet to mark the start of 2018. Queen Margrethe inspected the guard before the event which was held at the Amalienborg Palace. Mags did emeralds, Mary did rubies, Marie did diamonds. All very festive. And expected. To give the diadems their full due, Margrethe was wearing the emerald and diamond tiara which only a Danish queen can wear. They are usually on display at Rosenborg Castle but their velvet cusion was empty on New Year's Day as the queen made like a queen and popped them on for the celebrations. 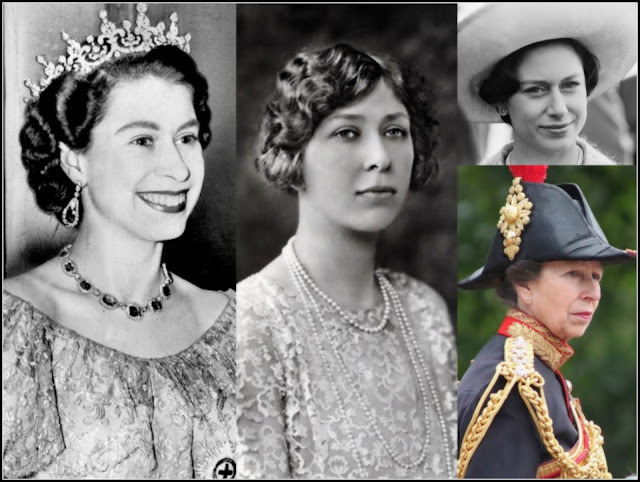 Mary wore the ruby tiara made famous by Queen Ingrid and which has been a constant for the Crown Princess since her marriage in 2004. 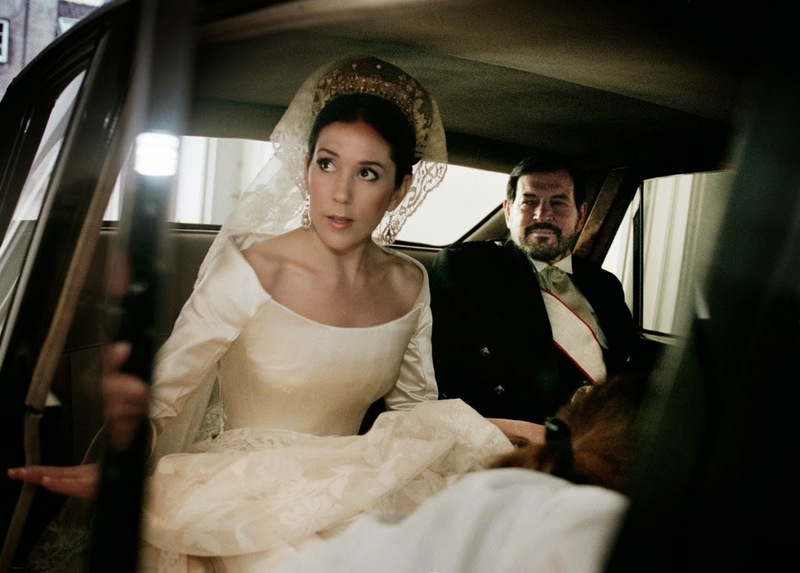 Marie wore the diamond floral tiara that she's been using since her own wedding 2008. The royals were back on January 3rd to do it all over again, this time sans tiara. Margrethe was joined by Mary and Fred but Joachim and Marie got a pass as the Danish royals welcomed diplomats to the Christiansborg Castle.